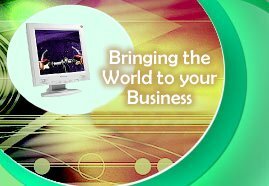 Whispernet design websites which attract viewers and effectively convey your message so that you get results. We focus on making websites that are easy to navigate, without compromising aesthetic quality. We will produce a unique, tailored look for your website that will attract viewers to your business and make them want to find out more about what your site has to offer. Our services range from a simple web design for small businesses, to e-Commerce solutions with dynamic databases for larger businesses. We have off the shelf, simple design solutions for those working to a strict budget or we offer our full bespoke service with full consultation for those with greater demands. Either way we offer a fully professional service that will provide you with a website to be proud of, and more importantly, a website that works for you. We also offer opportunities to advertise your business on established National and International websites bringing your services to the attention of a ready made audience. If you have a website, optimization is a must. Having a great looking website does your company no good unless people are looking at it, if you already have a website that is not working for you why not speak to us, we can probably help. We can optimize your site for effective search engine ranking and make suggestions geared towards making your site as effective as it should be. Whatever your requirements contact us today and see what we can do for you, or for examples of our work see our Portfolio Page.